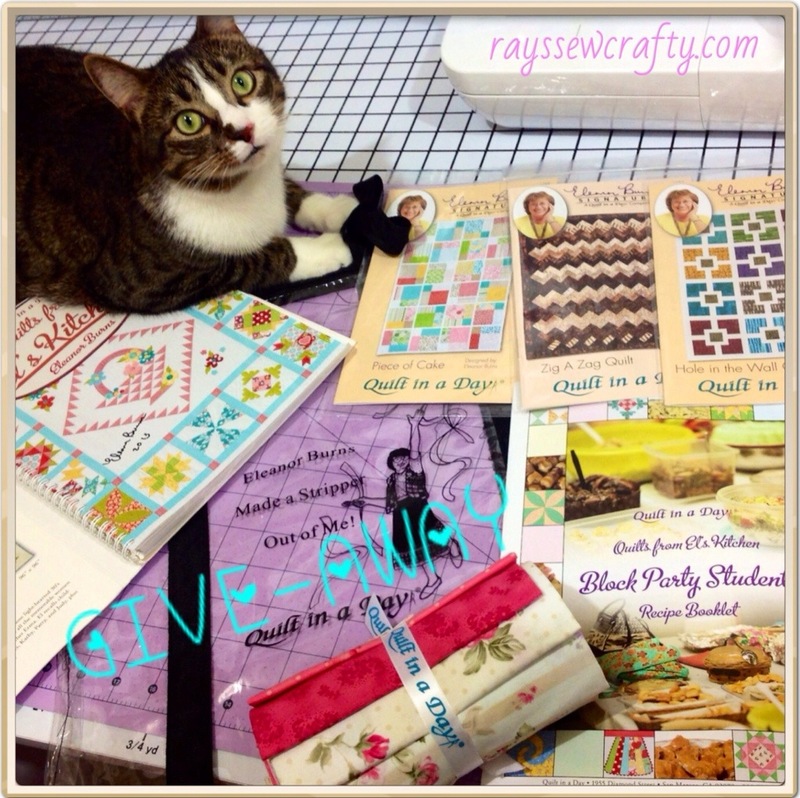 Events, Give-aways and Freebies!, Outings, Uncategorized, what do you think? 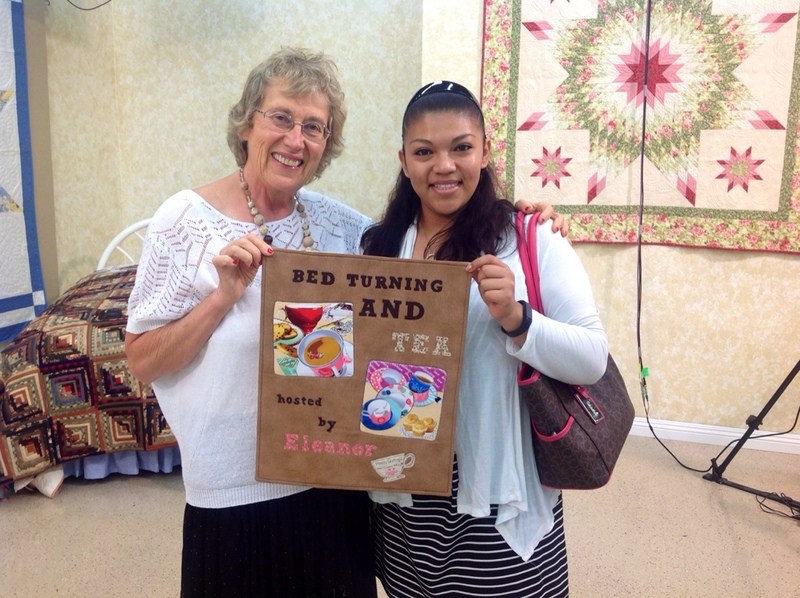 Bed Turning and Tea with Eleanor Burns and a GIVE-AWAY!! 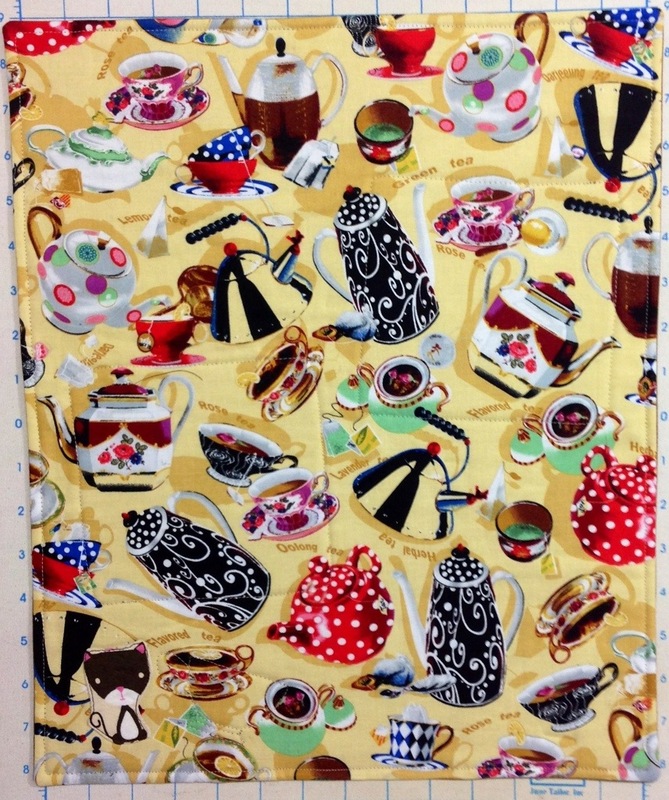 I bought some cup of tea and teapot panels, some coordinating tea cup fabric, and made her a little wallhanging. I am still new to appliqué, so as I was sewing the letters on, I was so nervous to not mess up! That’s Eleanor Burns!! Lol but it turned out very nice! I was uber excited to give it to her! I was so excited I couldn’t sleep the night before! 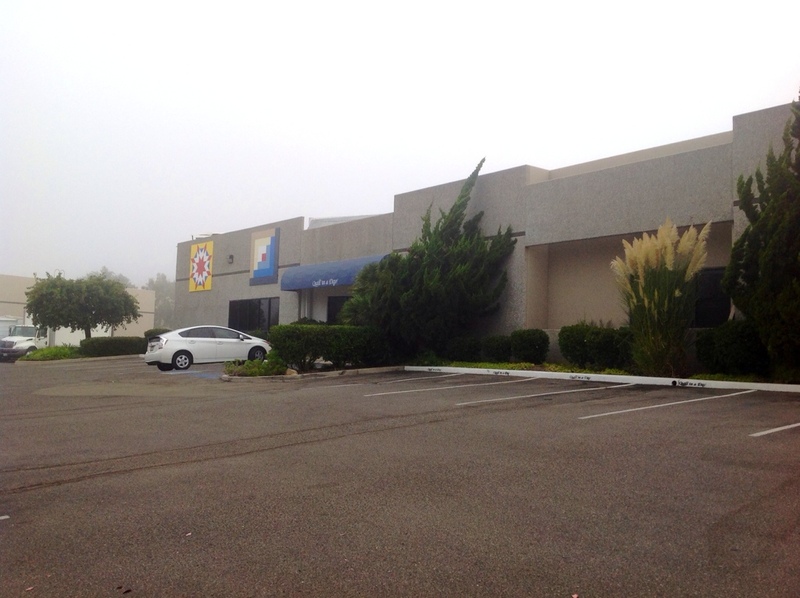 Based on my last trip to San Diego, I estimated a two hour or two and a half hour drive; To my surprise, I made it to San Marcos in about an hour, leaving me with an hour to spare until the shop actually opened. 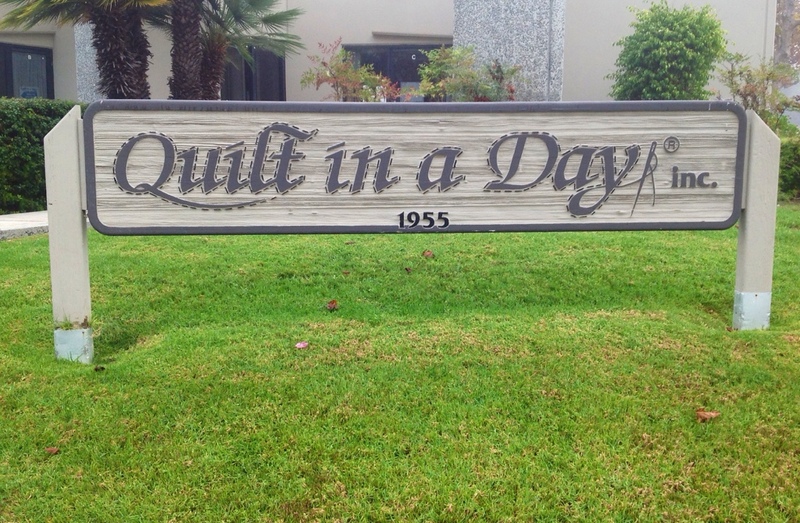 I snapped some pictures of the building, and the Quilt in a Day sign, can you believe El’s parking spot!? 🙂 isn’t that the cutest thing!? I pulled them up a bit and pulled my dress down and was able to hide! Phew! How embarrassing would that have been, meeting Eleanor with a hole in my stocking?! As I made it into the shop, I was so excited to give Eleanor the wall hanging I made her that I didn’t browse the shop yet. I was determined to meet and greet her before the webinar. And I did! 🙂 I walked into their classroom, which is huge by the way, and there she was! 🙂 She saw me from the moment I walked in, and as I approached her, she said “well hello there, how are you? 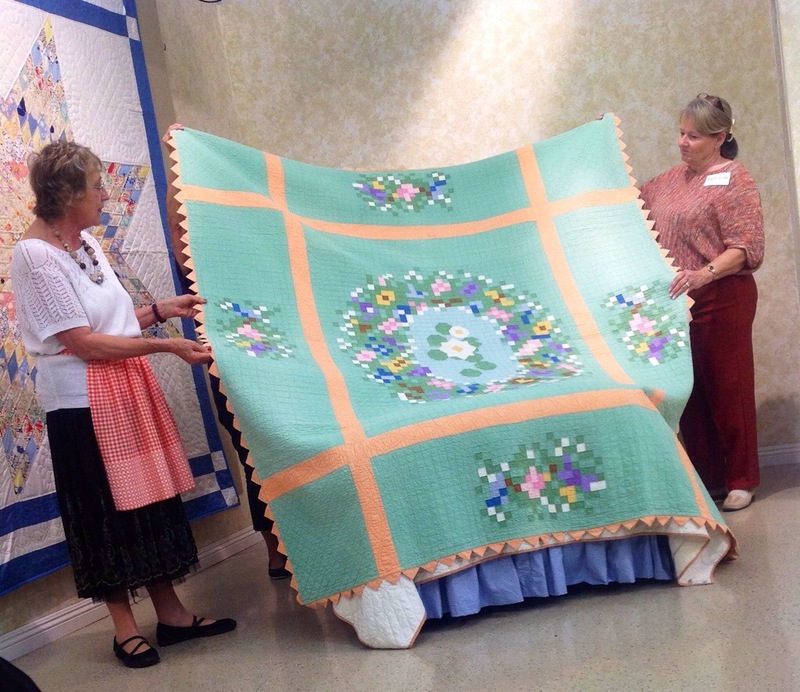 I saw your face when you came in and it looked like you had something neat to give me!” As I showed her the wall hanging , she gathered the ladies close by and said “oh isn’t this wonderful!! 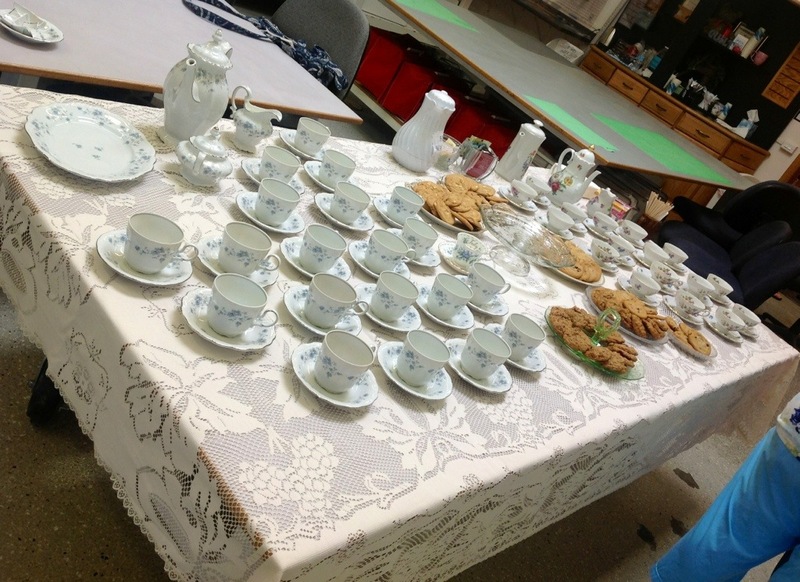 Thank you so much, look , ladies, what Diana made me, isn’t this nice? !” Oh, I was so flattered! 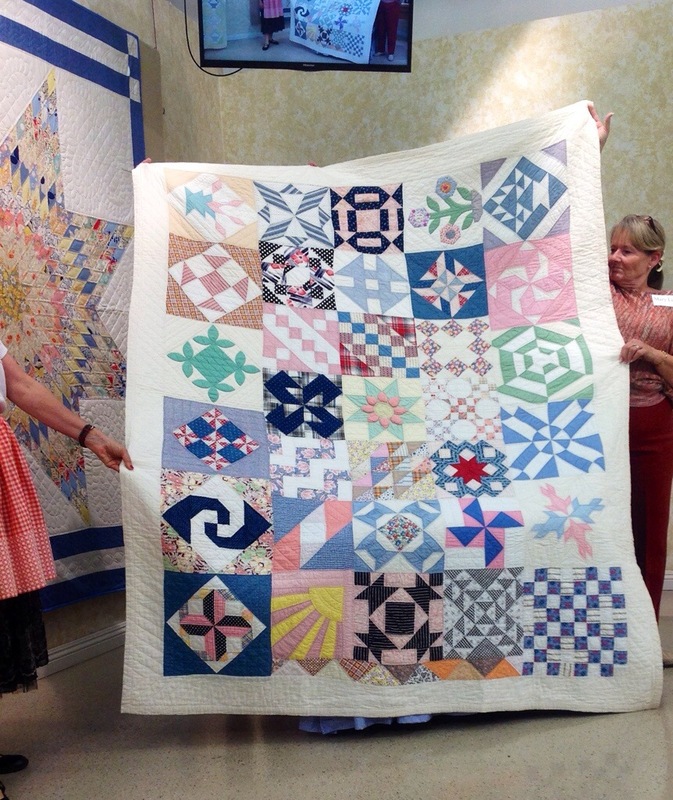 She then started to walk into the studio and said she wants to hang it on the wall for the intro of the event! As we walked into the studio, I was introduced to her son, director and camera man, Orion Burns. They are all just such kind, down to earth people, as you would imagine! 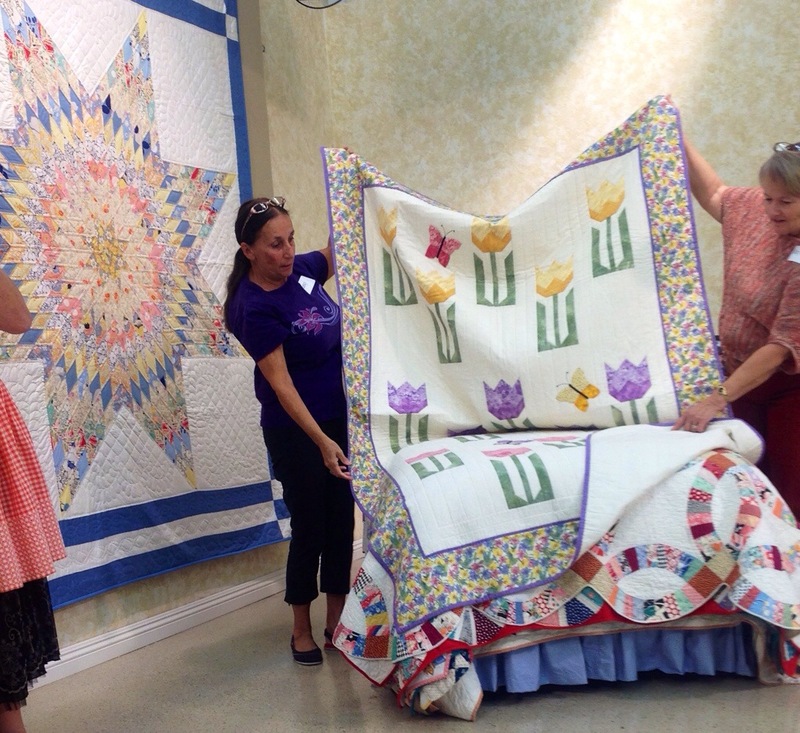 It truly was my pleasure to have met them and be a part of this Historical Bed Turning event! I was able to get my book autographed by Eleanor and I was so excited about that! While waiting for the event to begin, I perused the shop, trying to not miss out on a good seat. Luckily, I made a friend, Michelle, who invited me to sit with her! 🙂 that was very nice of her! Thank you again, Michelle! 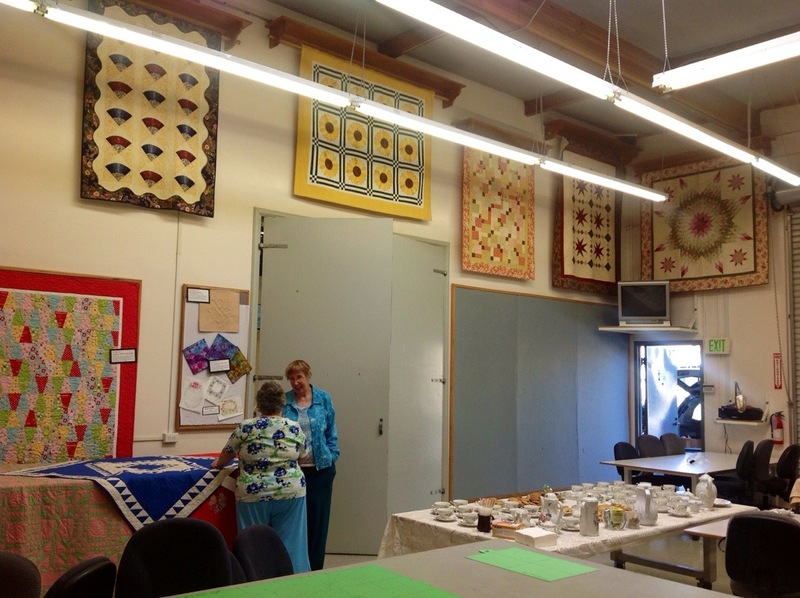 With everyone settled, some tea and cookies, we were ready to see Eleanor’s amazing historical collection of quilts and patterns and so much more!! 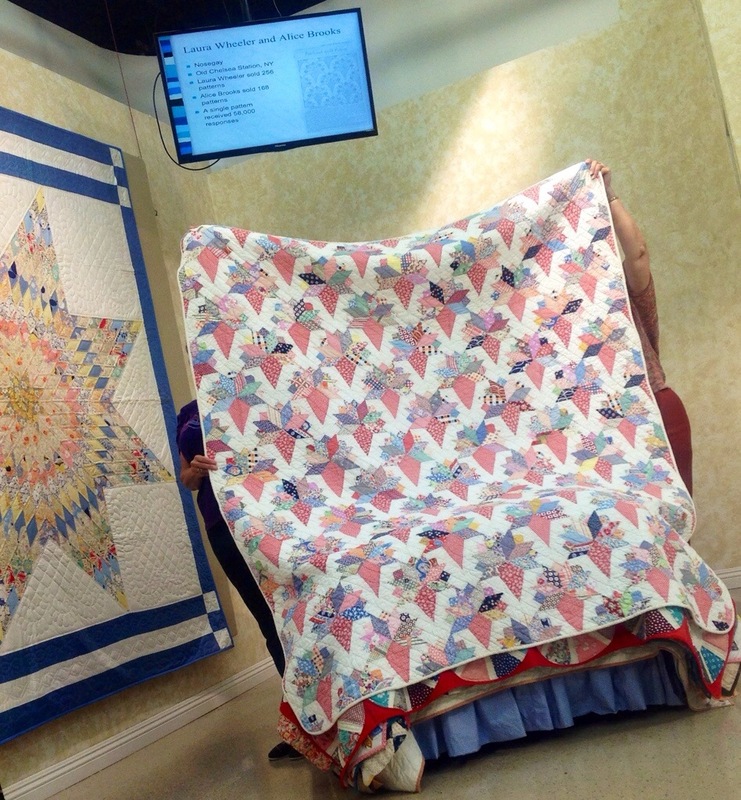 I was beyond excited when, once the recording began for the webinar, Eleanor gave me and my sweet baby Ray a little shoutout while showing my wall hanging! If you go to part 28:05 of the video, El introduces my wall hanging, calls it a “collectors item” and says hello to me and Ray, who just absolutely loves watching her show!! 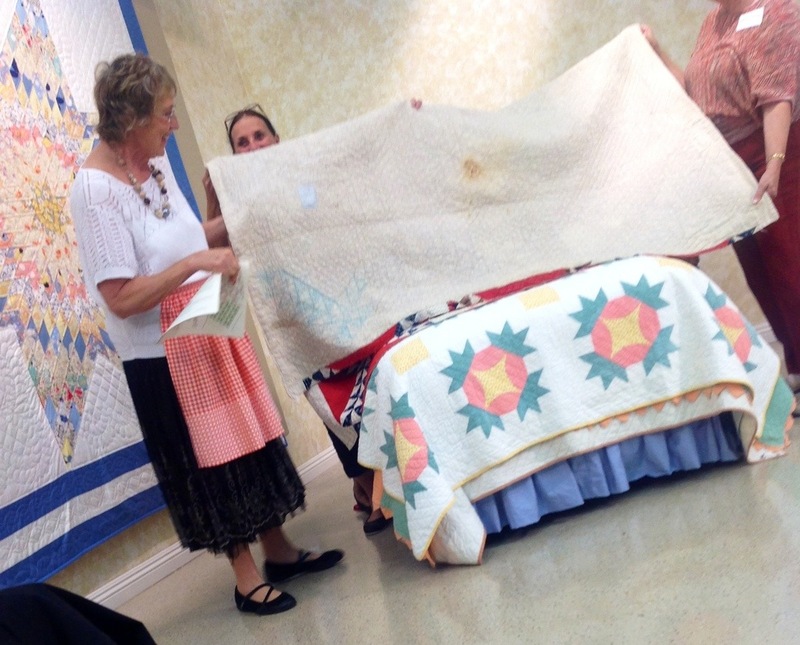 🙂 she also mentioned doing more Bed Turning events to show the wall hanging! I was so happy she liked it enough to mention it on her webinar! 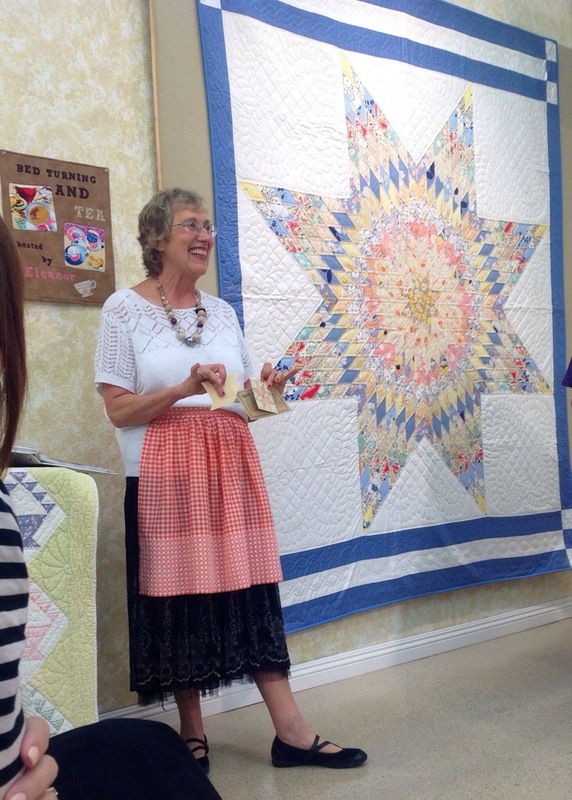 I couldn’t explain the entire event as well as Eleanor did, so I leave it to you to watch her explain and show her extensive and amazing collection of patterns, books and nick-nacks she’s collected over the years! Click on the highlighted “here” a couple paragraphs above, or simply go to youtube and type “quilt in a day bedturning“! Enjoy!! 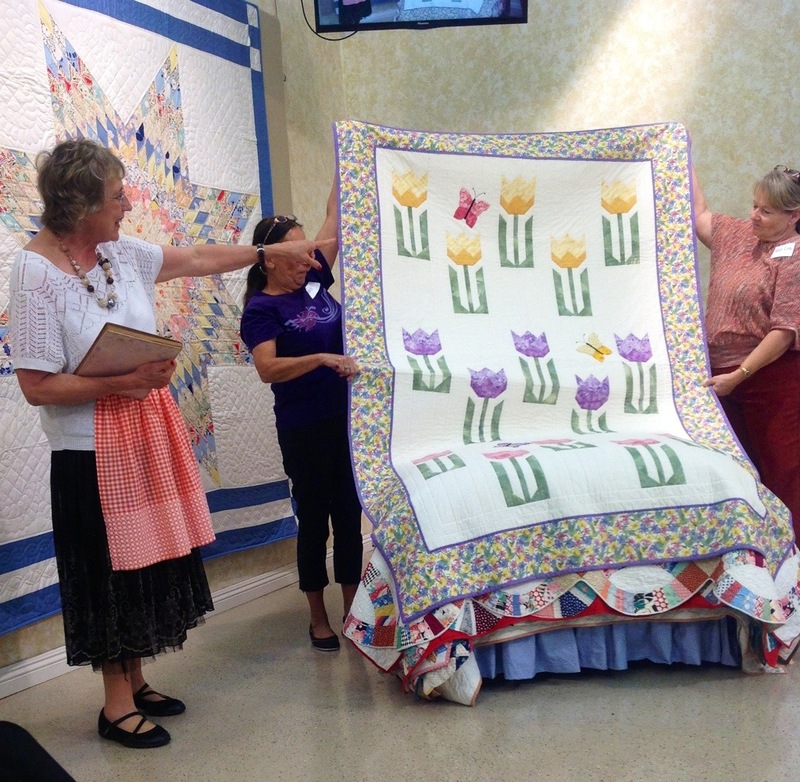 Did you know that Ruth Finley wrote the second book of quilting? 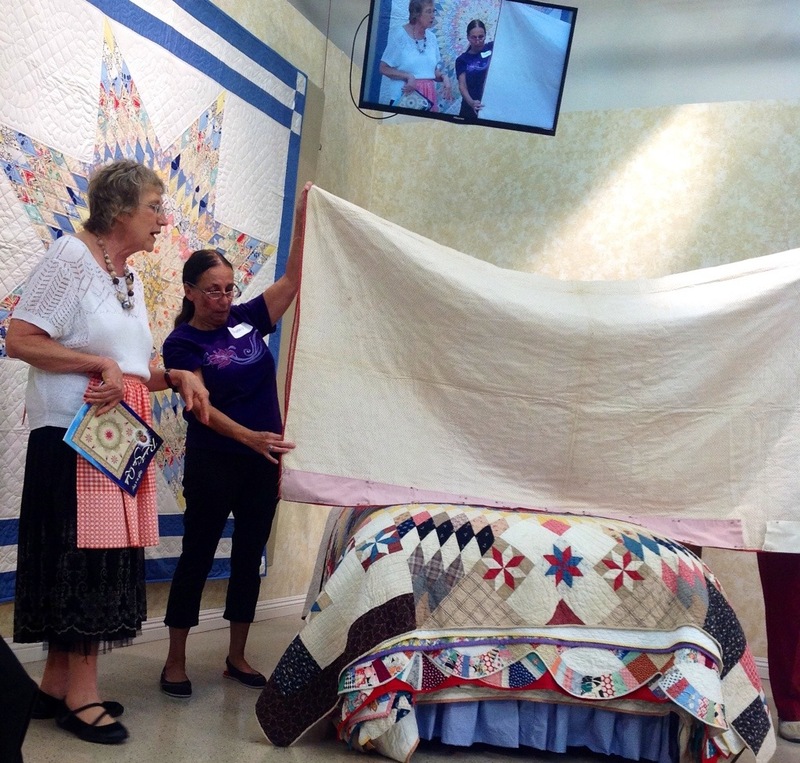 (Marie Webster wrote the first book of quilting.) 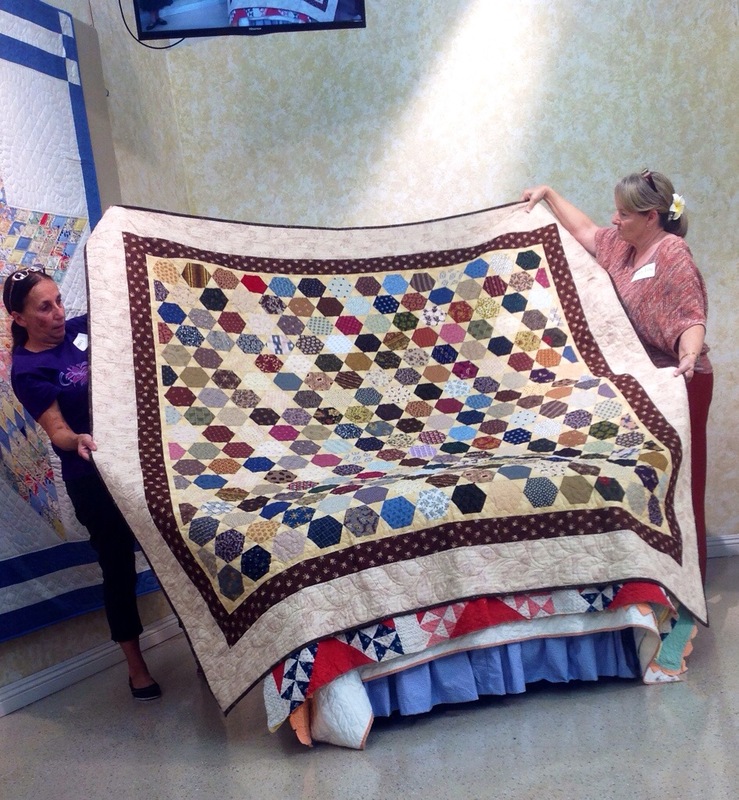 She wrote , in 1929, about patchwork quilts and the women who made them; as she drove through the back streets of the country, when she spotted a quilt out on the line, she would go up to the house, knock on their door and ask for a glass of water. 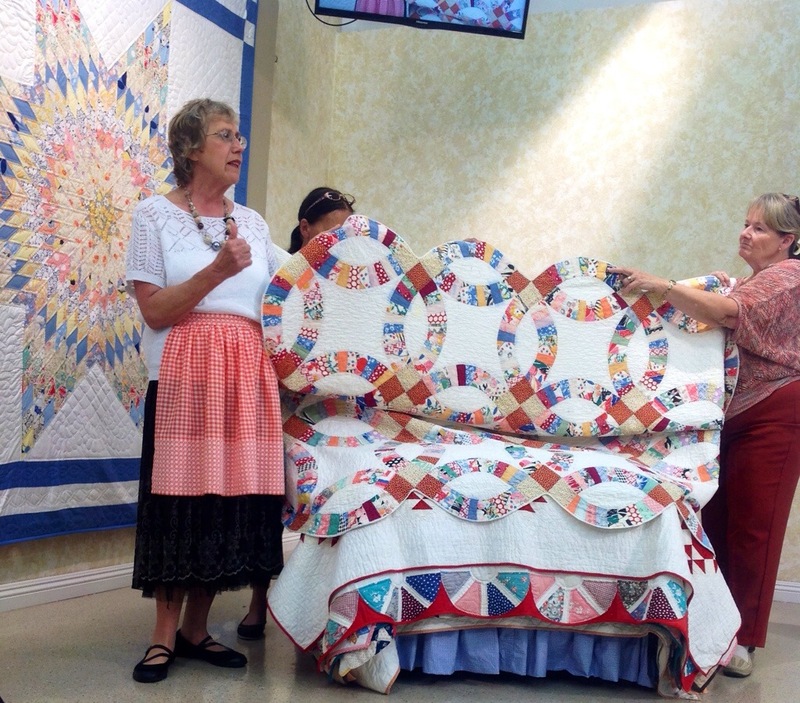 After being invited in and given a glass of water, she asked about the quilts hanging in their yards and documented the stories of the quilts she’s encountered! 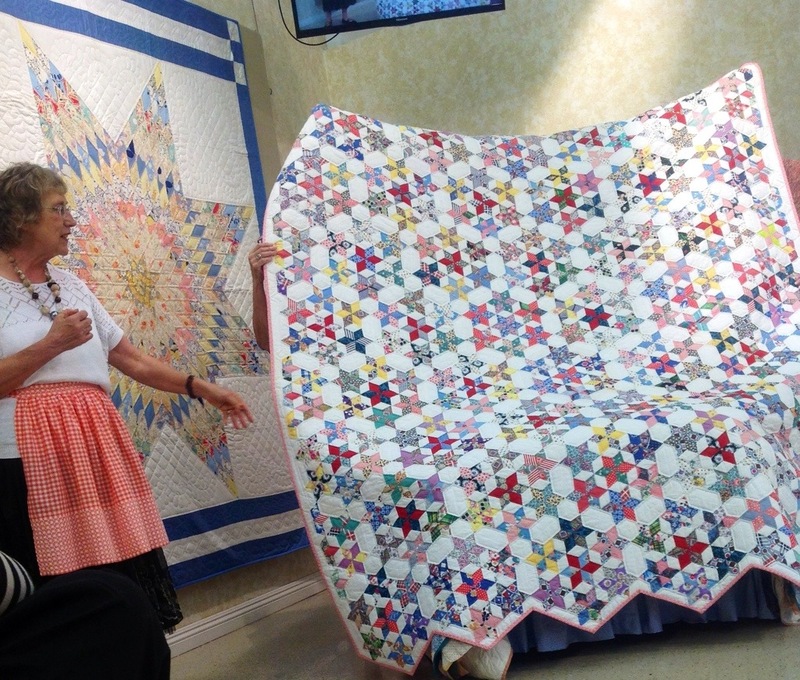 And she quotes “The water that I have drunk, in the pursuits of quilts, would sink a battleship!” (47:14) Some of the things that Ruth Finley has said, I really enjoyed and got a kick out of it; Ruth says “NEVER begin a quilt on Friday, you will NEVER live to see it completed! “(58:28), she was very superstitious about Christians cross, as well as Friday being hangman day! 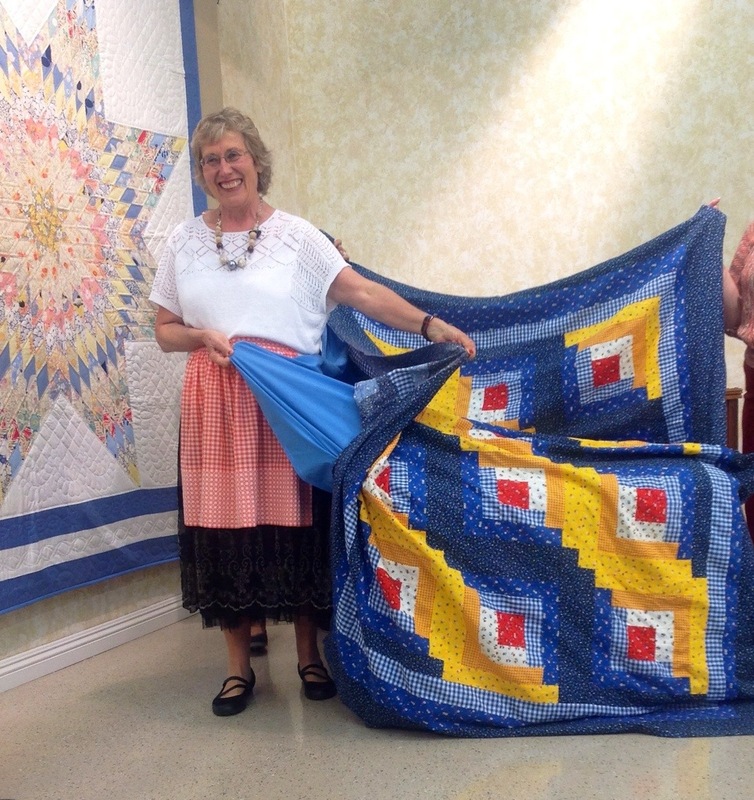 Ruth also says “Never quilt on Sunday or you will have to take it out with your nose on Monday “(59:20) Some say that if you have a thimble, you can QUILT in Sunday, because the thimble will keep you from harm! I am telling you, these are only FEW examples and INTERESTING FACTS that Eleanor talks about!! I do it no justice trying to explain it in quotes! Watch the video by clicking on the highlighted links throughout this post! 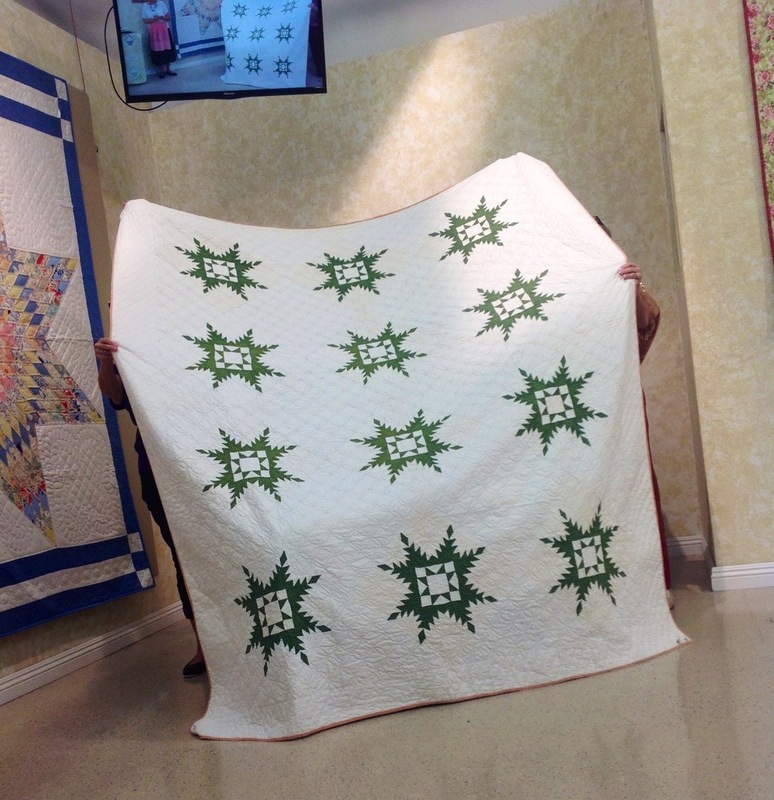 I may get started on my Double wedding ring quilt now!! Lol I want to marry before I end up old and lonely! Ok, noted!! Lol NO WANDERING FOOT PATTERN!! Please forgive me about that!! 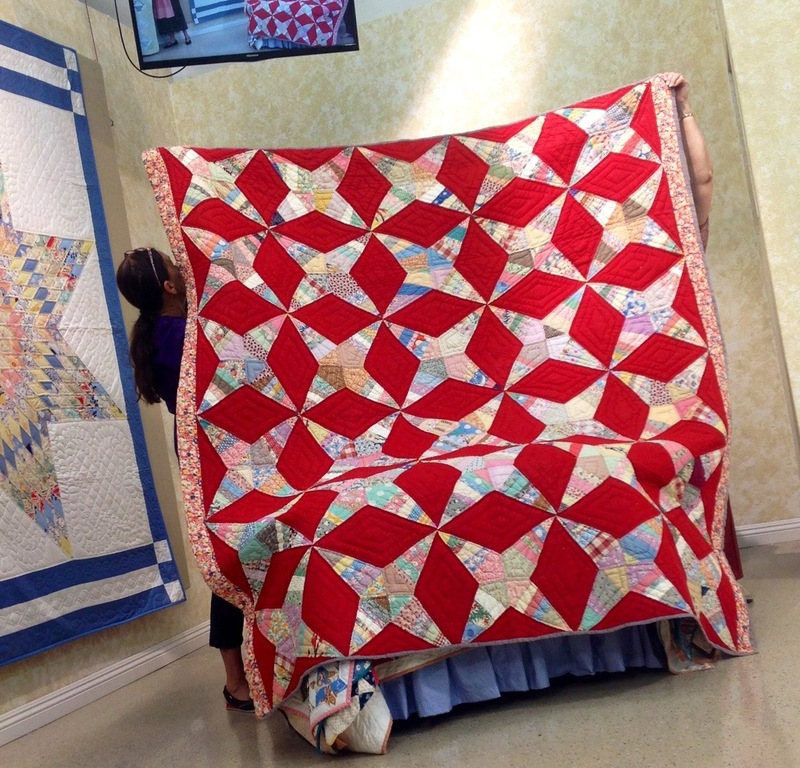 I do hope you watched the video on Quilt in a Day’s Ustream.tv and really enjoyed the event! 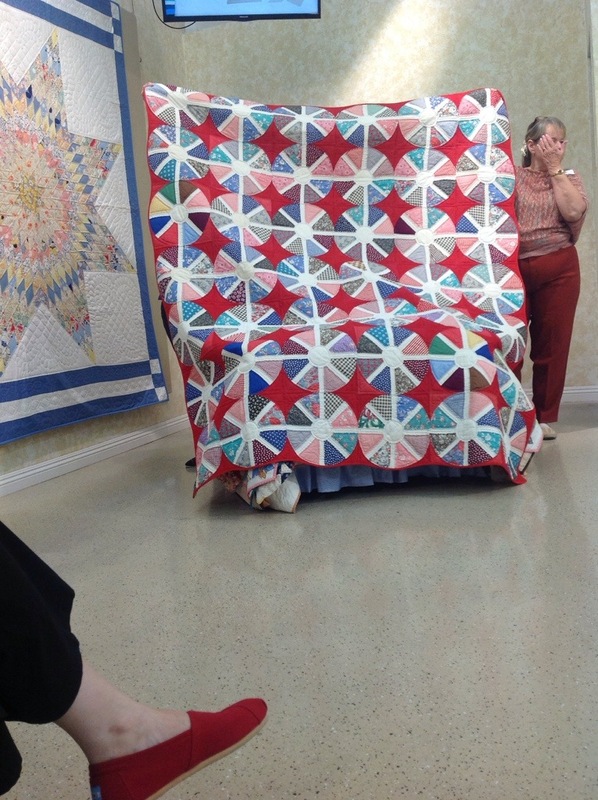 The last quilt she talked about was her very first quilt, the Log Cabin, which is not finished yet! 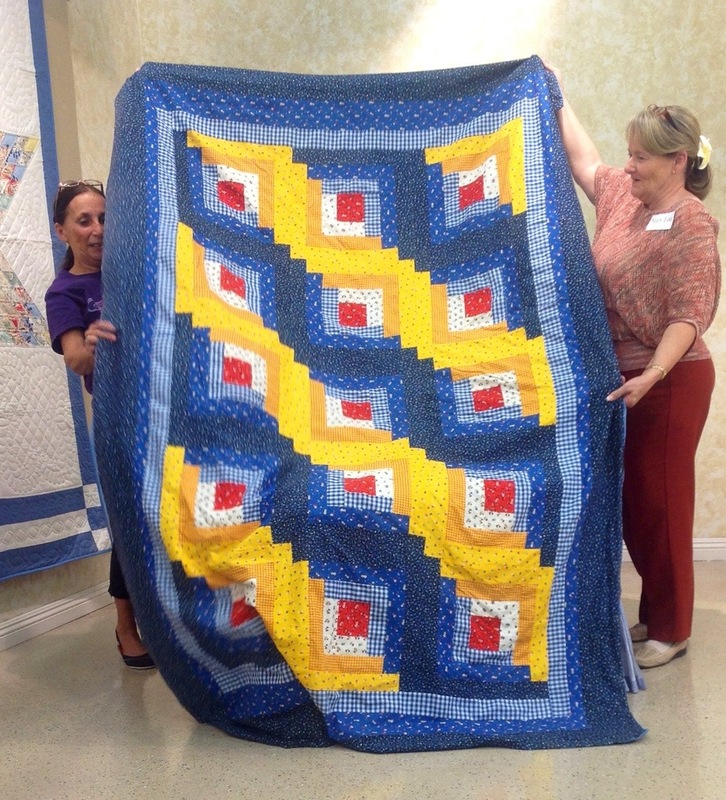 This quilt is what started it all! 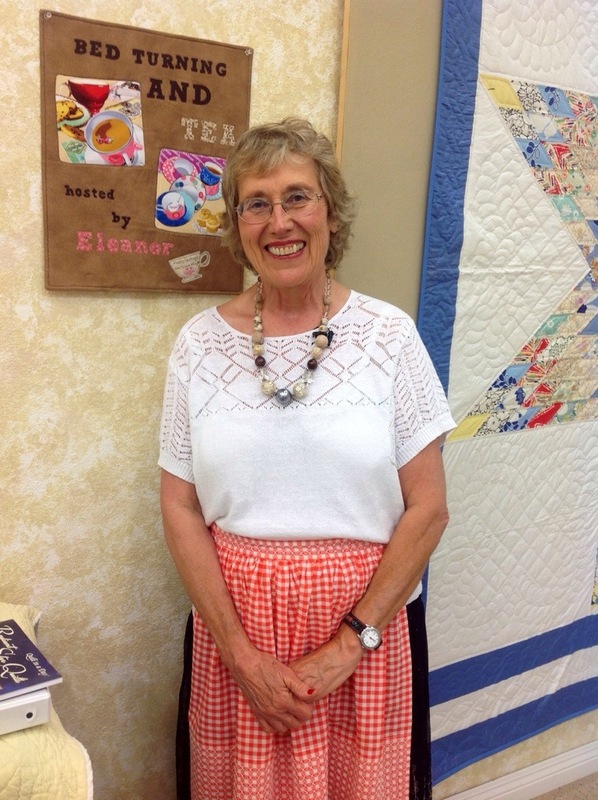 Self-published her first book “Quilt in a Day: Log Cabin Pattern” in 1978, and after that became a prolific author, teacher trainer, tv personality, and a role model in the quilting world! 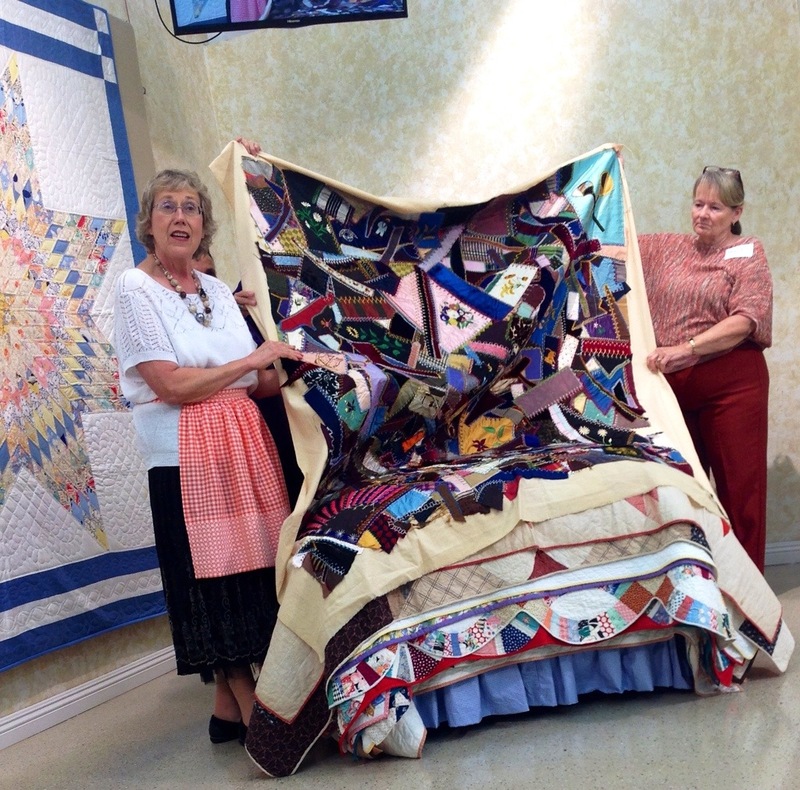 As of 2012, she became an Honoree at The Quilter Hall of Fame!! You can view her Hall of Fame page here. 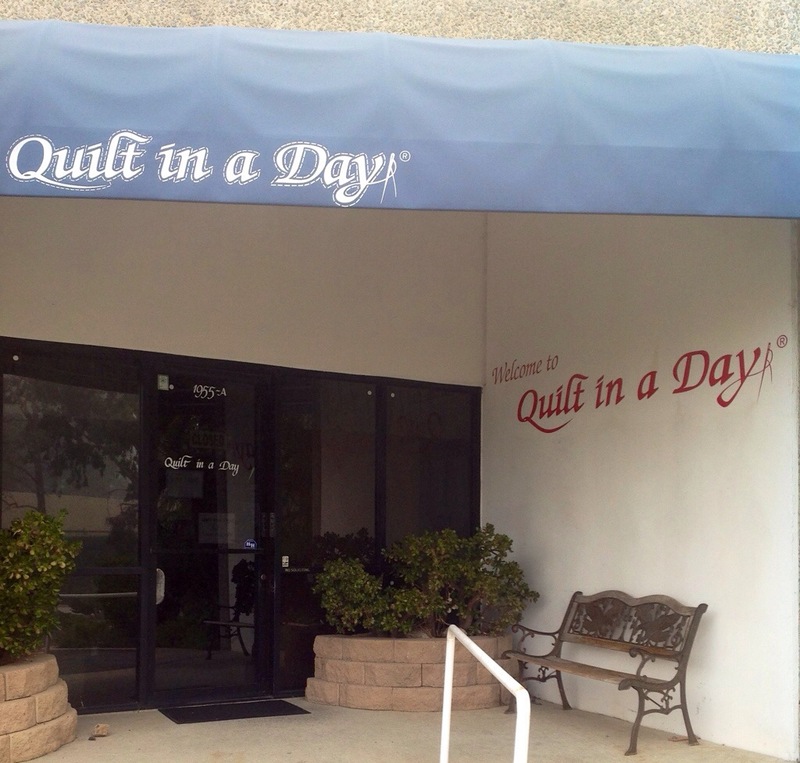 Please visit her Quilt in a Day website and shop, where you can ALL of her books, patterns, fabrics and so much more at quiltinaday.com here. You can read and follow her blog stripquilter.com here, as well as her Facebook here, her quilt in a day Facebook here and her Quilt in a Day Instagram here. 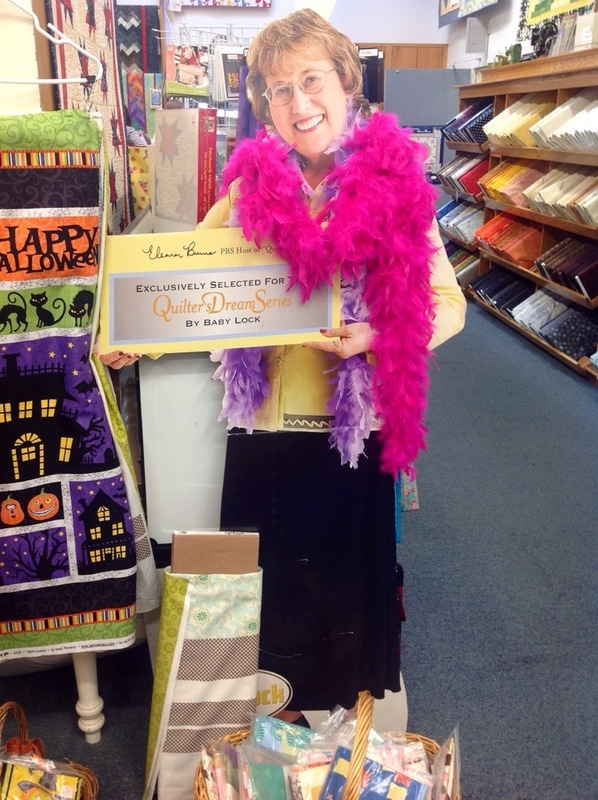 The winner of this AMAZING goodie bag will be announced on the 19th of October, that day will be Eleanor Burns Quilt in a Day’s 35th ANNIVERSARY ! I like her Whirligig pattern. 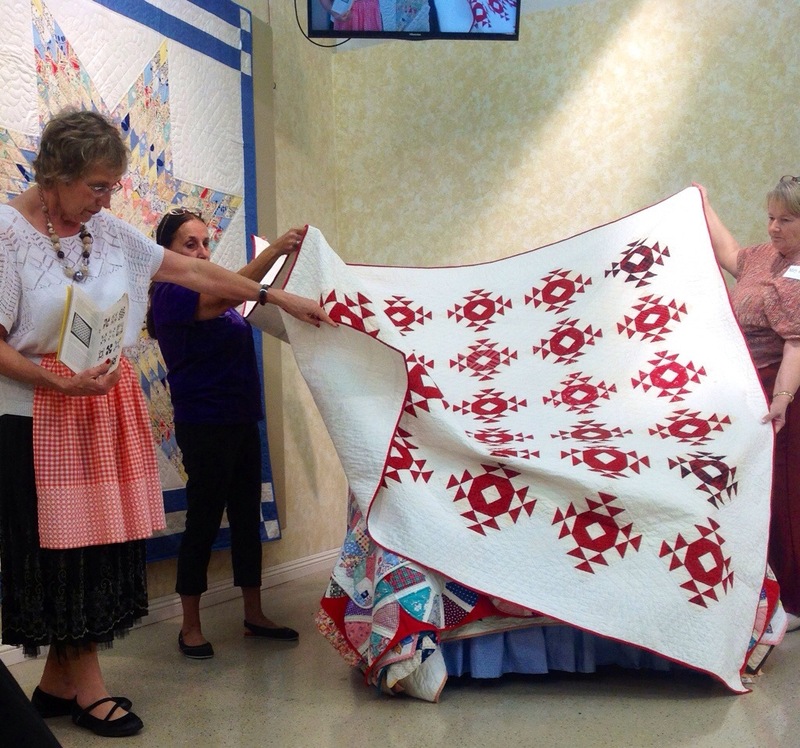 I watched Eleanor on TV for many years, not just quilting but I wasn’t into projects back then. Now I’ve actually made many of her designs, just not with her patterns. Love the lady, she is an innovator, ahead of her times and a delight to watch and listen to. Thanks. 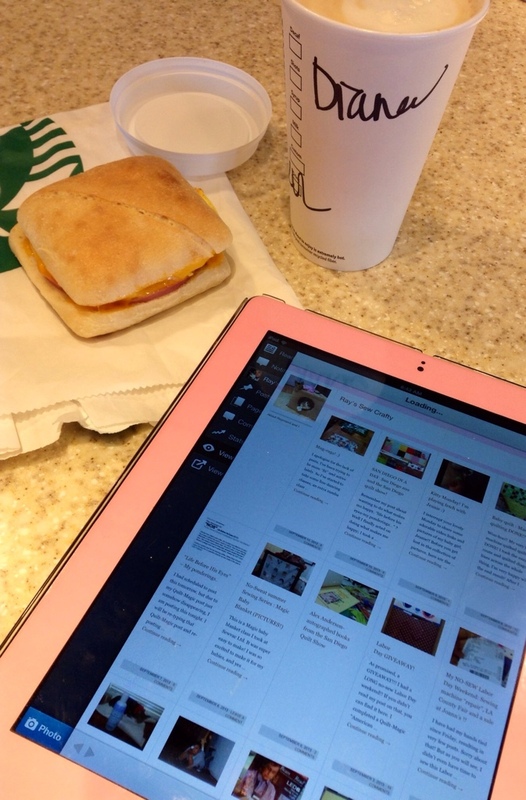 I follow your Blog, thru email now too…. What a wonderful experience! 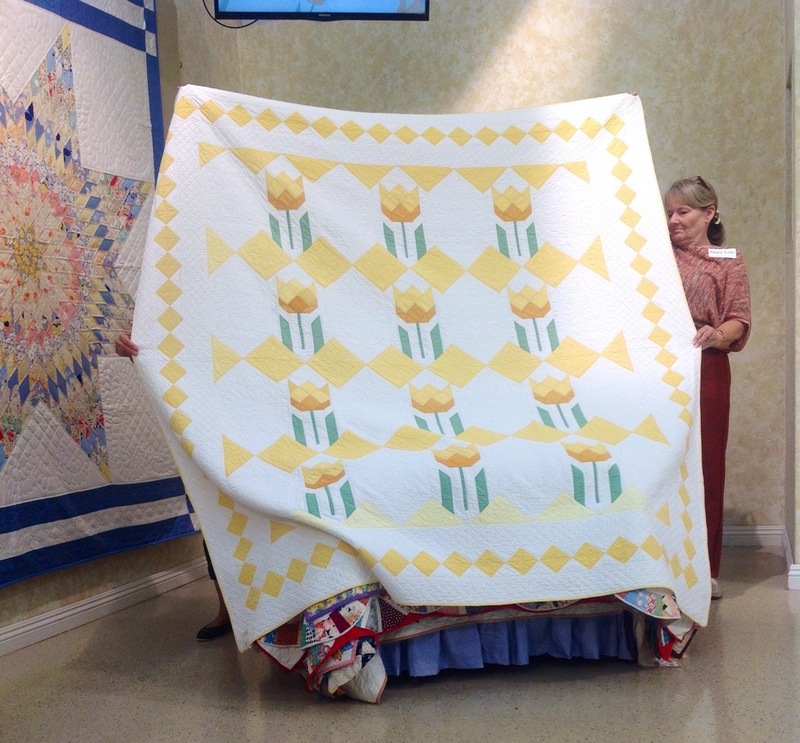 The very first quilt I ever completed was the Log Cabin, about 25 years ago. 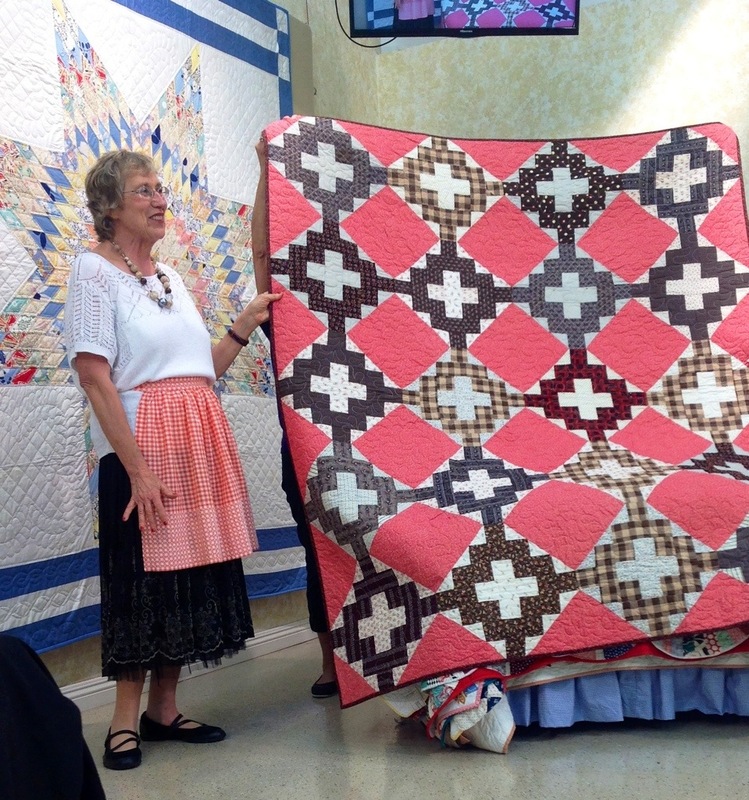 Eleanor Burns Quilt in a Day method revolutionized quilting (along with the rotary cutter). I have made many of her patterns, as they are easy to follow. 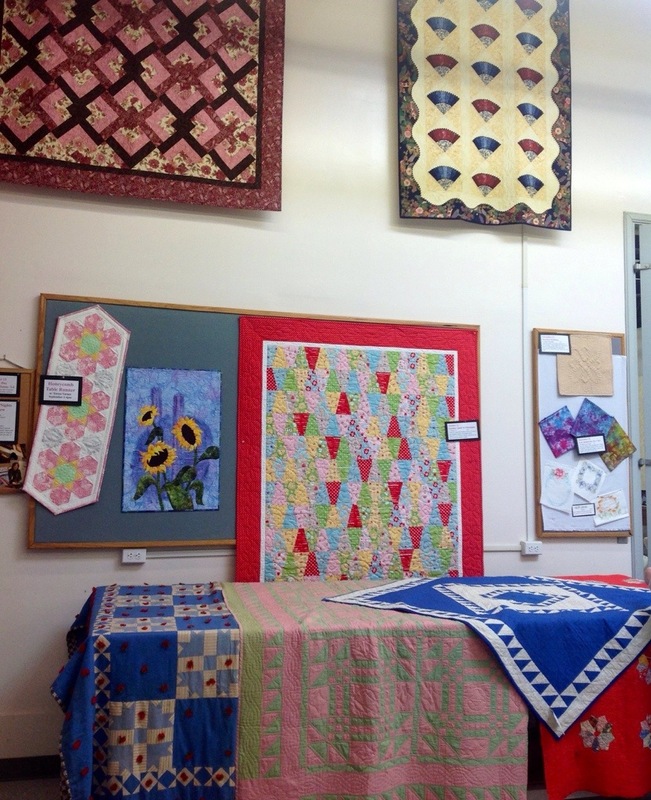 My favorite is one that makes a table runner. I love to make this for gifts. Thanks so much for the giveaway and the wonderful post. You have a total of two entries for this give away right now! 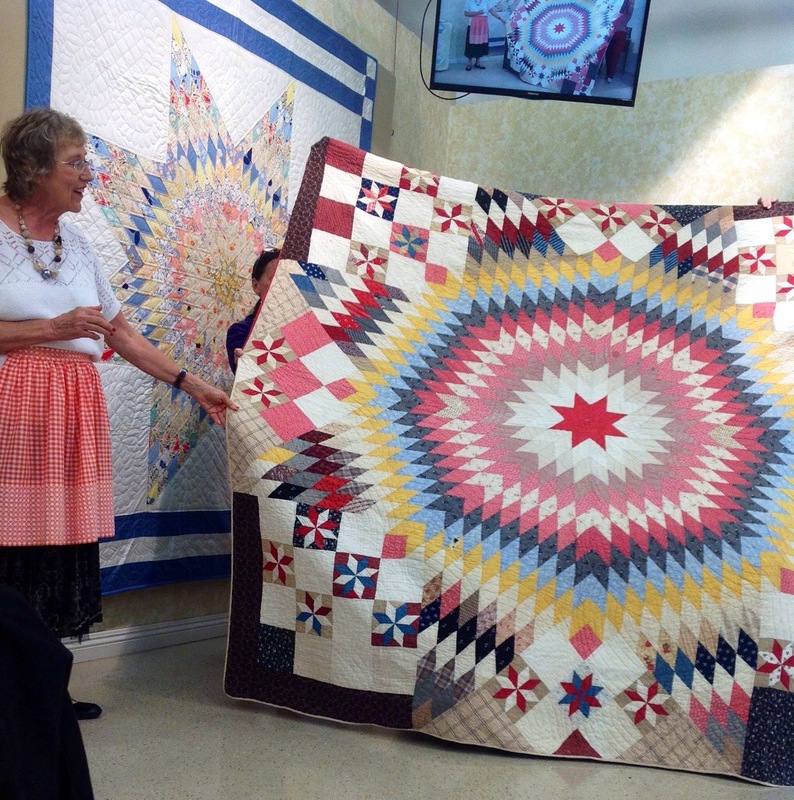 Since quilting is totally new to me, I had never heard of Eleanor Burns. But I totally LOVE the fact that she “makes strippers” out of people, lol! You are too cute! 🙂 Eleanor Burns is such an inspiration! 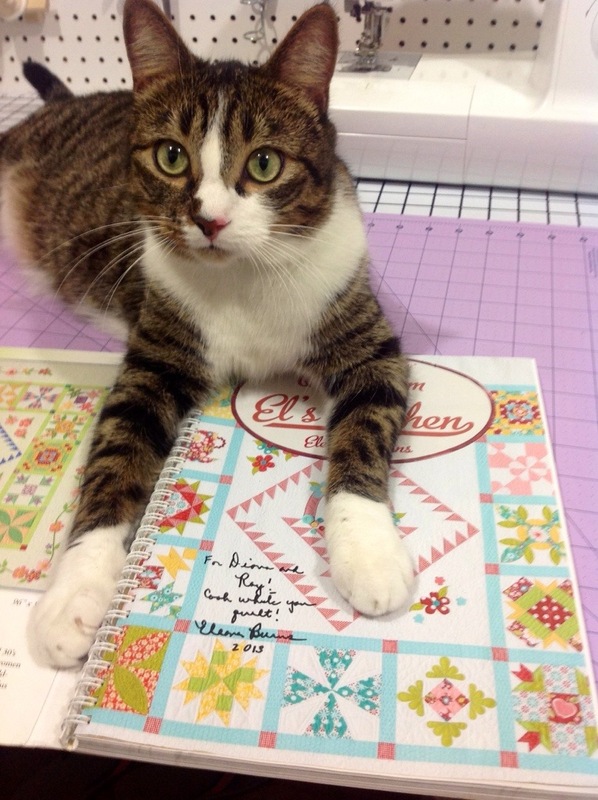 Her patterns are fun and easy to follow! I’m working on some blocks from her newest book right now 🙂 super fun! I had never heard of Eleanor Burns before you blogged about her. 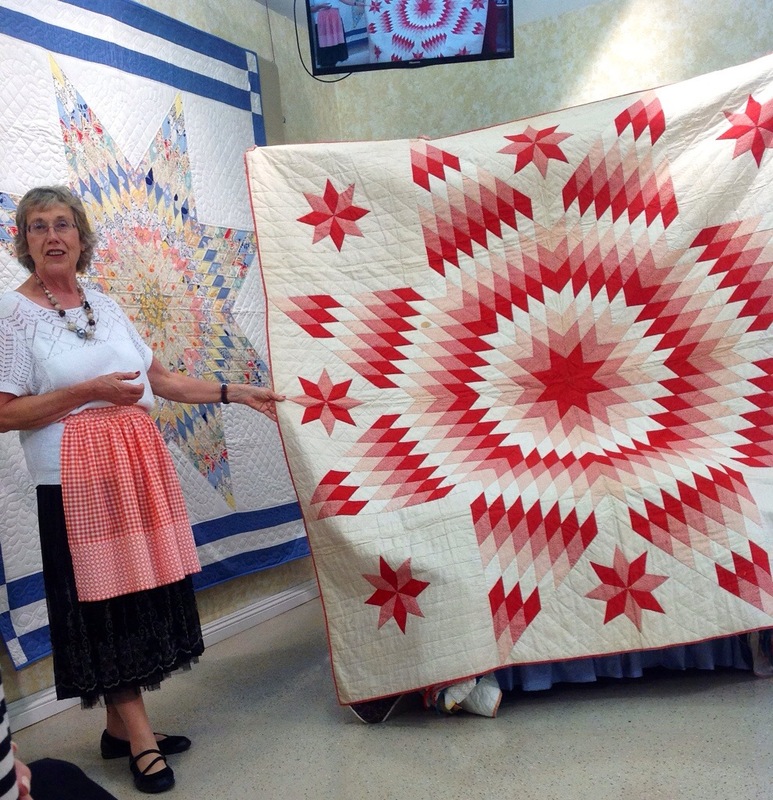 I looked through her patterns and really liked her log cabin pattern though I never could do it in a day. 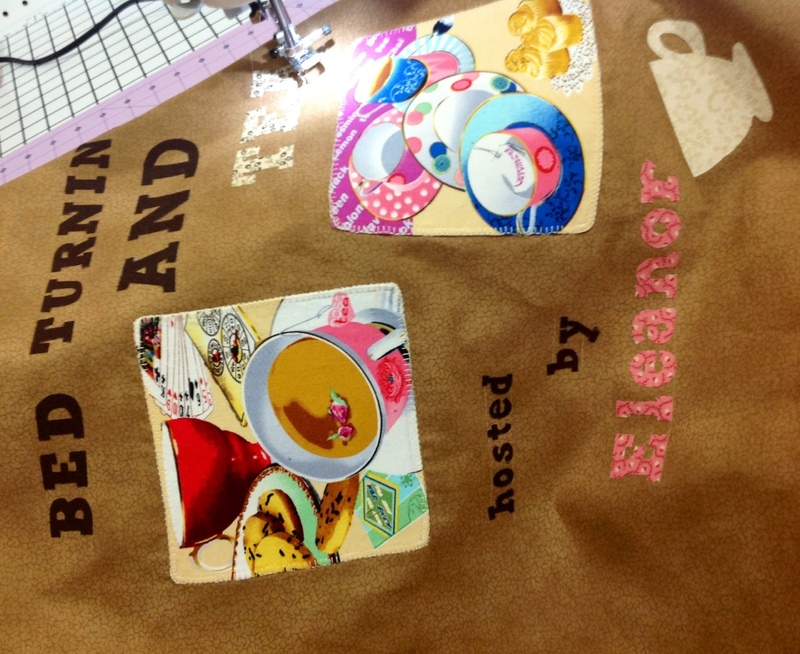 I’m super pokey about cutting out fabric and I take a ton of breaks when I sew. Thank you Torina!! You now have two entries for this giveaway! 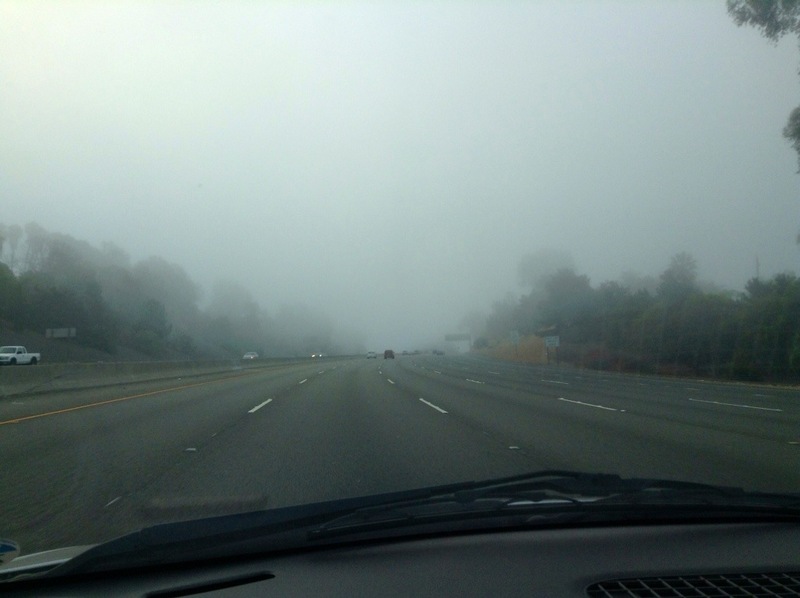 Continue spreading the word and following my blog, and Eleanor’s blog as well! Hopefully this goes through… Reading this and seeing all the pic’s is so awesome!!! I wish I could have been there with you.😉 Thank you for sharing. 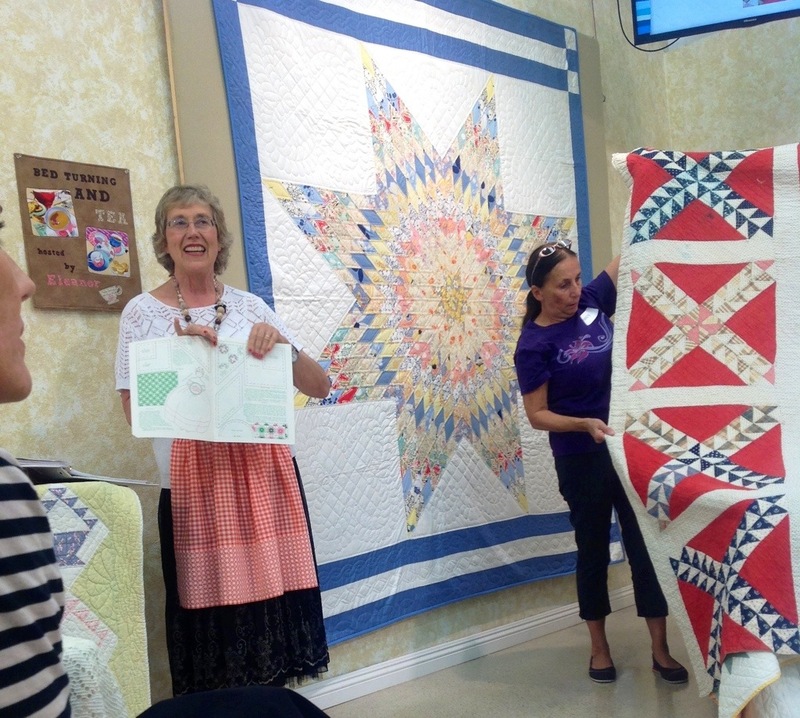 I really enjoy sharing events and projects with you! 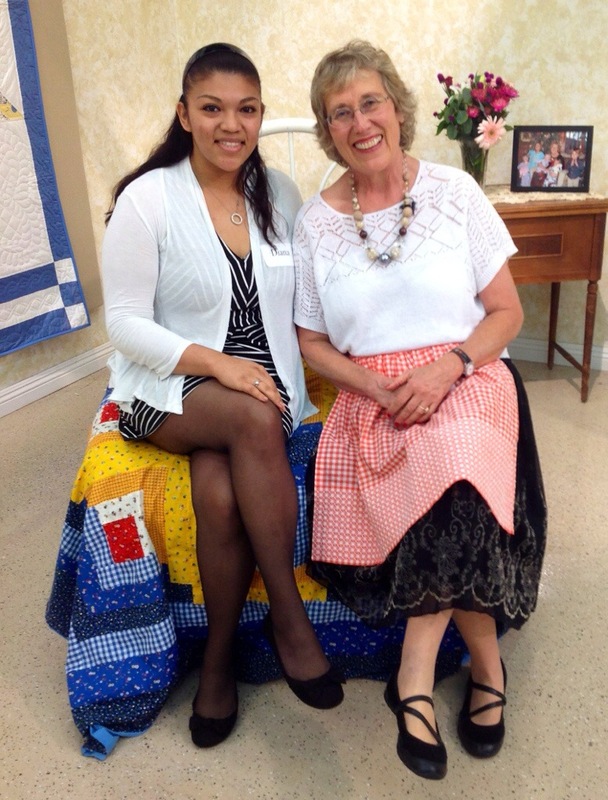 I hope you travel to California one day, or I towards your end of the states , so that we can go to a quilting event together! 🙂 that would be fun!! Oh and my friend won a Sofia at an. 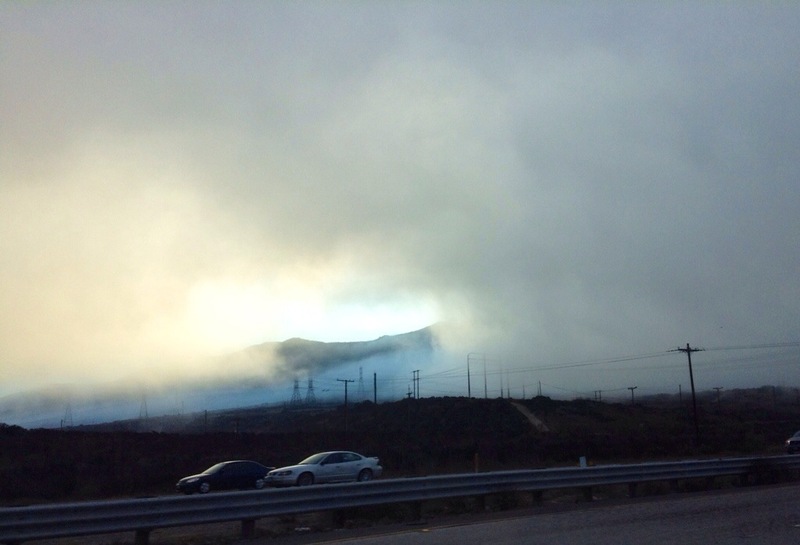 Eleanor Burns retreat that was sign by her… I was so jelly..
Yeah, I’ve become a fan too. 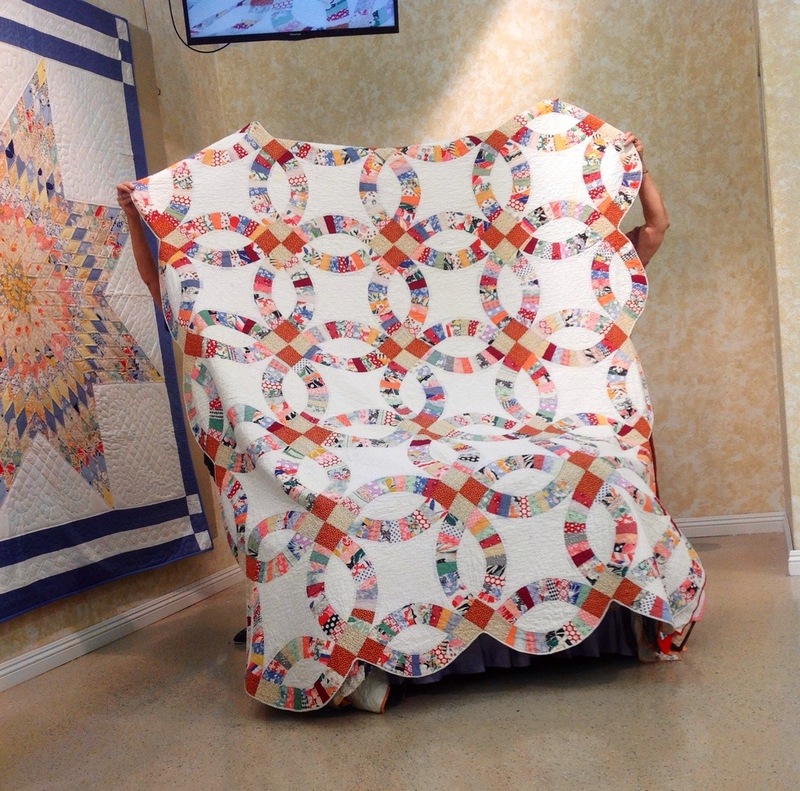 I record her Quilt In A Day show. She seems like a really sweet person. I understand that she use to be a teacher. Well I’m so far away from you so I don’t know when I’ll get to attend one of her events. Do follow her blog, Instagram and Facebook for additional entries for this giveaway! 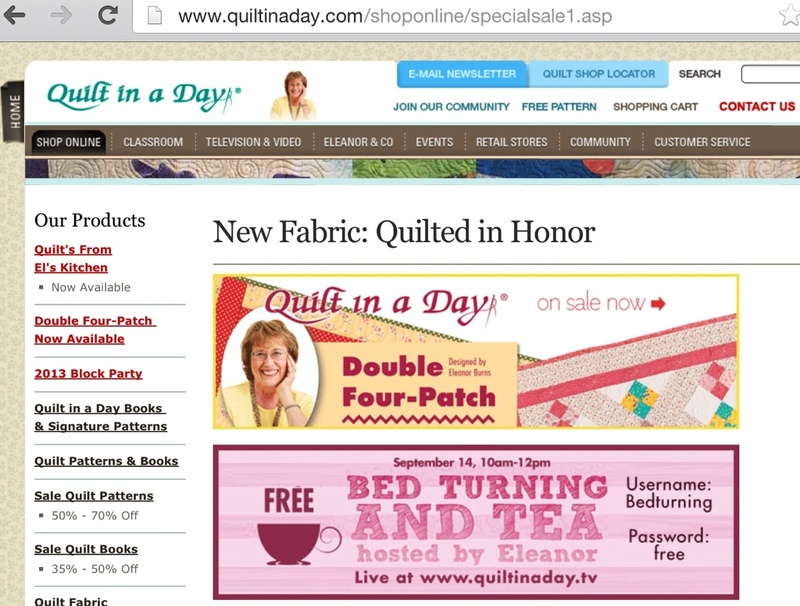 She also has another shop in Paducah, KY, check out her online store at quiltinaday.com for more information. 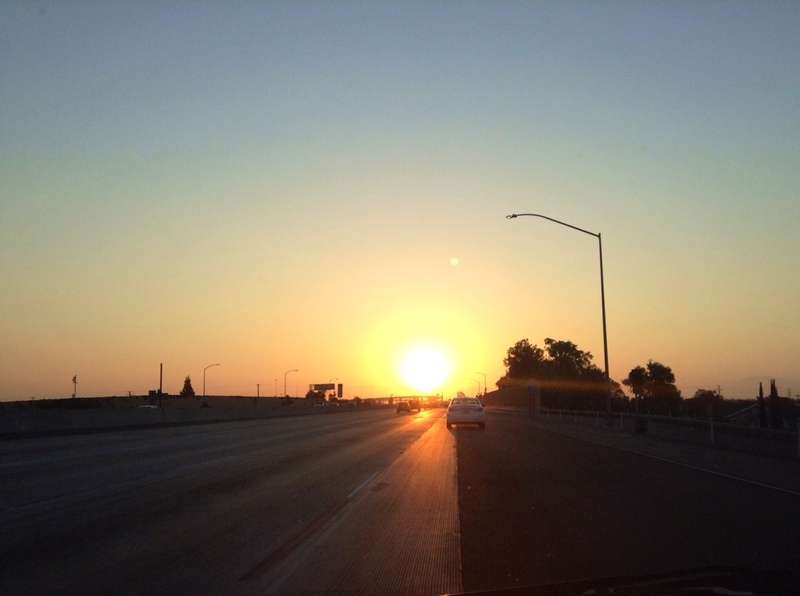 I am following your blog, started a couple days ago! I am new to quilting (and actually sewing) so I need to try something simple first. I am determined to make a quilt for my sister’s little bun-in-the-oven. Looking at the patterns on the website, I would love to try the Pumpkin Grins pattern for my own house. I love it!! Oh how nice! 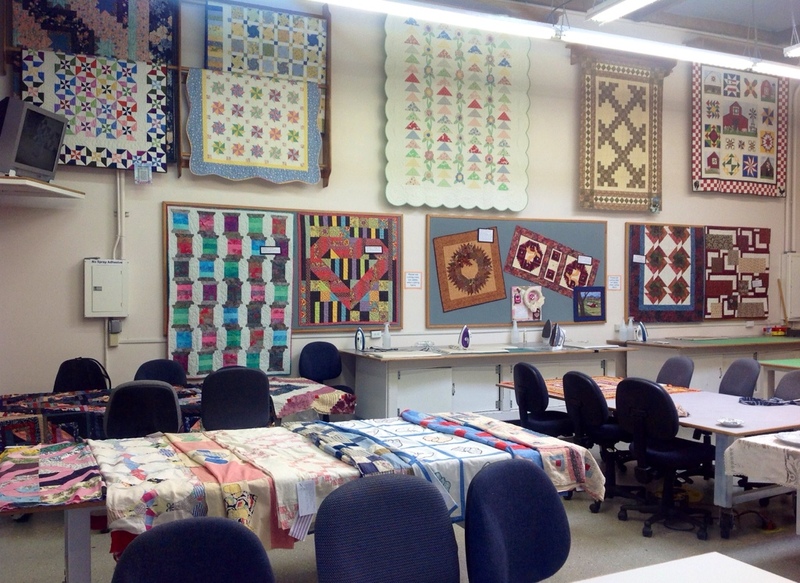 Welcome to the wonderful world of quilting, sewing and crafting!! 🙂 I hope your learning and crafting journey is full of fun and joy with your family and friends! 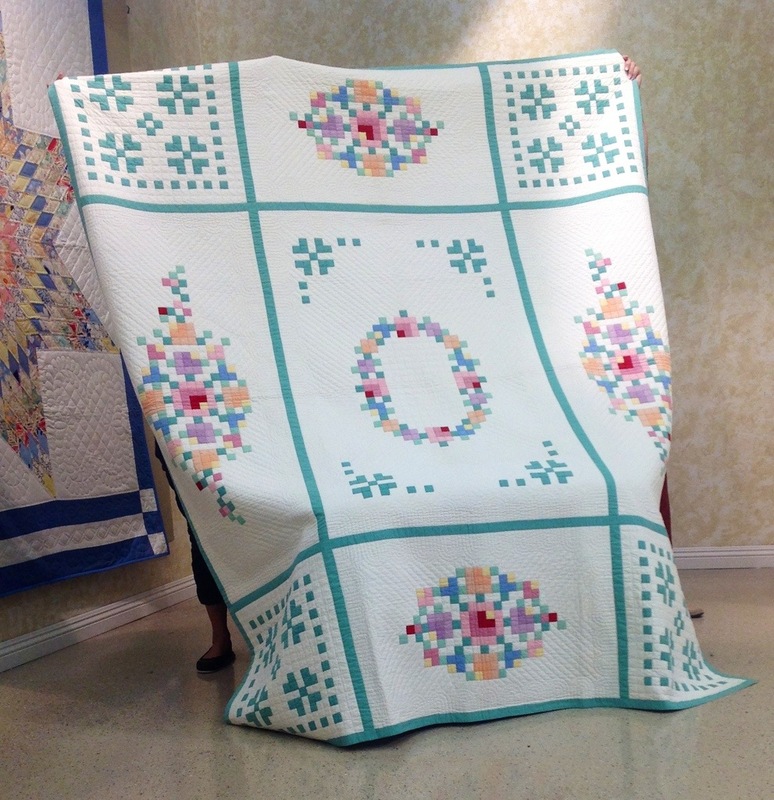 I’m sure that with some patience and the right tools, you will make you sisters baby-on-the-way quilt in no time 🙂 and if you need any help, suggestions or tips, feel free to email me anytime! I’d love to help any way I can! Pumpkin Grins is also one of my favorite patterns! I may ATTEMPT to make one for Halloween, but it am NOT an expert sewer/quilter. Lol so it may be too out my league yet, but I may tackle it someday! It surpassed all my expectations! 🙂 Eleanor is such a wonderful woman, I aspire to be like her someday! And thank you, I was so nervous when I saw her and gave it to her! An event I will never forget! Oops on my end too!! 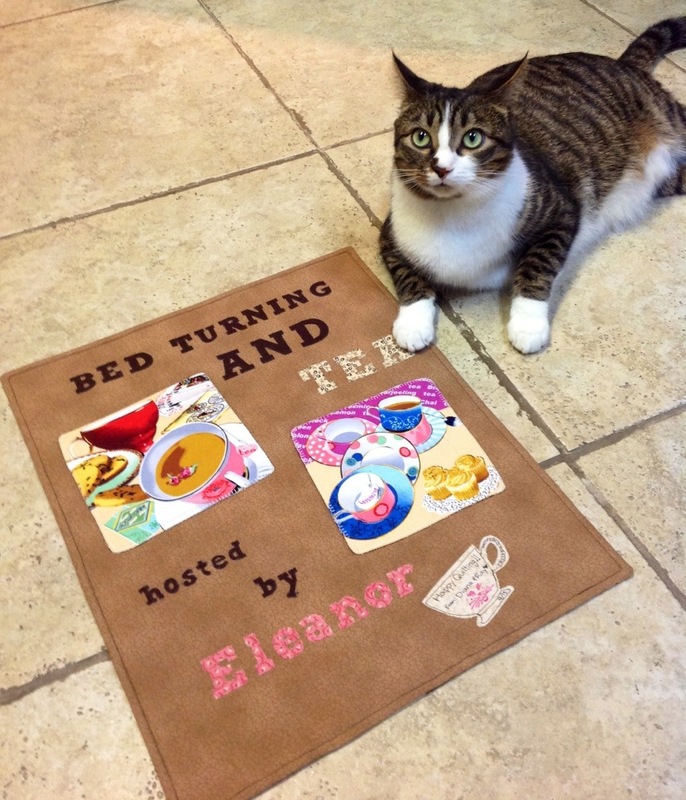 I am enjoying your blog SO Much and love the fotos and your write up on Eleanor’s bed turning and tea. 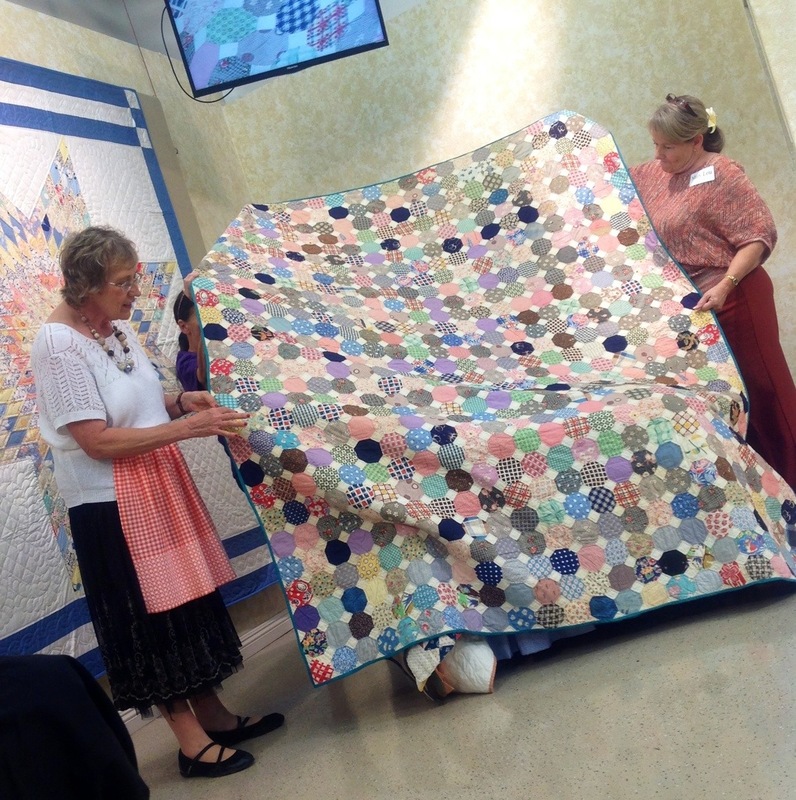 That was an amazing event she put on and so great to see all the beautiful quilts. I’m so happy I got to meet you there and that you told me about your blog. You describe everything so beautifully! Thanks for all!! Hello Michelle!! 🙂 nice to hear from you again! 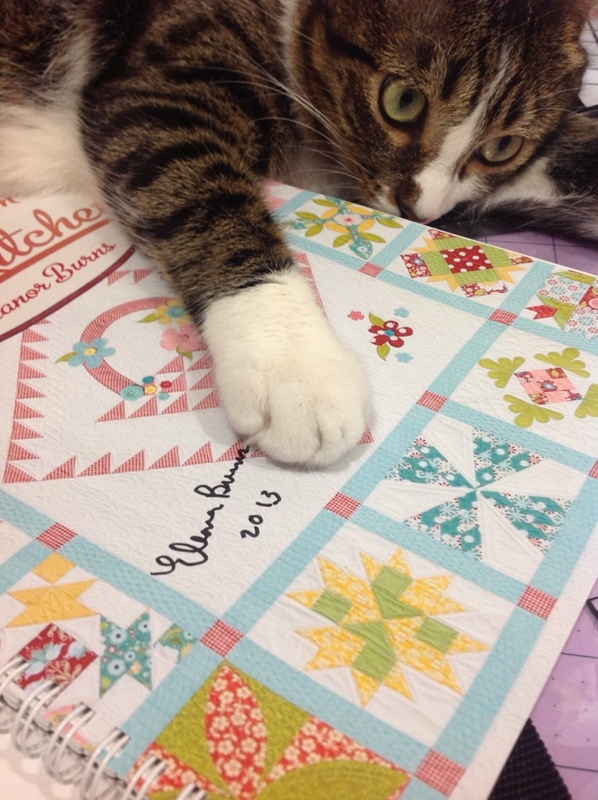 If you’d like an additional entry on this giveaway, you can follow Eleanor’s blog stripquilter.com and leave a comment on here letting me know you did that! 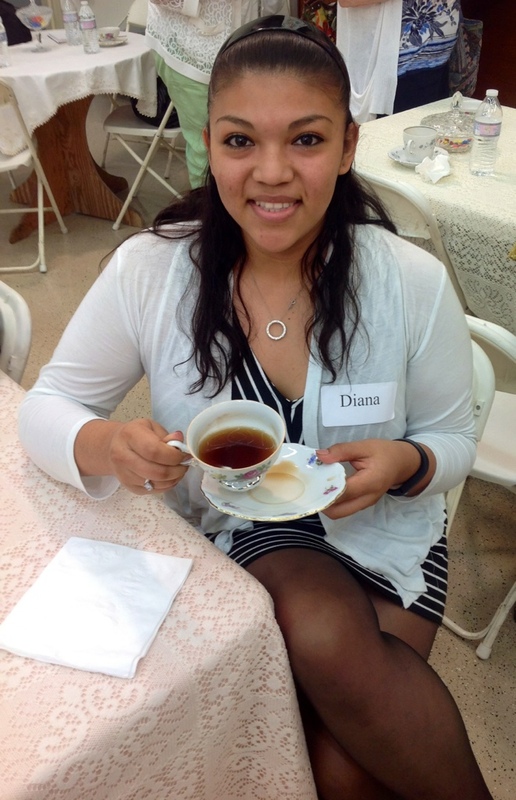 Thanks again for reading my blog, I hope to see you at Eleanor’s 35th anniversary event, Michelle!